This is a blog/forum where all questions are monitored so that only relevant questions (and, thus, answers) are posted on the site. 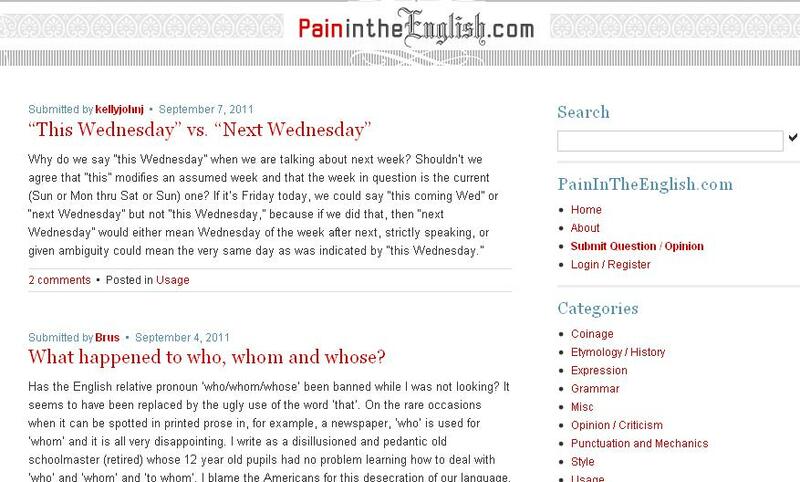 This is a good site for advanced learners looking for advice about confusing terms and usage. The site is up-to-date but not necessarily on a daily basis.